I spent three days in Melbourne last week—something I needed to recharge and inspire me after the past three months of un-fun uncertainty and ahead of Tuesday’s widely expected Queensland budgetary hack job. It was exactly what I needed—budget or no budget, and be it writing, playwriting, or all manner of other arts practices, Melbourne just ‘does’ arts. My trip was prompted by (bias alert) the opening of a play my sister’s currently in. Called Rhonda is in Therapy, it’s a four-person play written by playwright Bridgette Burton that examines a mother’s grief, guilt, and loneliness in the aftermath of her child’s death. It’s dark subject matter, but incredibly compelling, and there was a buzz in the air in both the theatre where it was performed and the streets outside where laneway pubs and restaurants bustled and AFL fans hustled against the biting, wintery Melbourne weather to see their teams play football finals. In Melbourne, unlike in Queensland (I noted with plenty of envy), arts and sport abut each other effortlessly. In Rhonda is in Therapy, we meet the Rhonda of the title (played by my sister, Louise Crawford) as she visits her new therapist (Kelly Nash). Rhonda’s specific aim is to understand why she’s started an affair with a student (played by the eminently attractive Jamieson Caldwell*) while her dutiful husband (Ben Grant) tries to hold things together at home. The script (and its execution) is stellar, something of keen interest to me not just as a writer but as someone who is necessarily fascinated with what makes successful works of art, be they plays, TV series, films, books, or visual art. I’ve had many, many discussions in recent times about how a good script sets up a good show—without it, you can add all the big-budget special effects in the world and you’d only be (to be crass) polishing a turd. The evidently talented Burton created the script with some help from the R E Ross Trust Playwrights Script Development Award (get outta here—funding for the arts!). I was impressed by her ability to expose both the rawness and the humour of the situation—often in quick, rollercoaster succession. I knew Rhonda is in Therapy was going to be a challenging play, but I was surprised at how often it both made me laugh and then almost immediately tear up and sniffle. That and how the quality writing and the assured performances enabled the show to be staged with an austere but not sparse set (as a writer, I so often bring things to life in my head, it doesn’t often occur to me what they’ll look like brought to life on the stage). The set was laid out in triangular formation, potentially connoting the love triangle—two chairs denoting the therapist’s office, a couch denoting Rhonda’s home, and a desk and two chairs contained within a floor-to-ceiling skeleton of walls that also gave the impression of cage bars. Continuing the Melbourne-does-arts-well theme, it was fitting that Rhonda is in Therapy is playing out in fortyfivedownstairs, a not-for-profit theatre space that used to be a factory of sorts—all exposed brick, iconic windows, and exuding authenticity and history. The theatre’s in the basement and, as you descend the stairs, you can also stop off at packed, pumping galleries on other levels. I’ll not deny that I was simultaneously inspired and despairing. What would it take for Queensland to reach the same vibe and level of arts support? Particularly in terms of writing? Our work isn’t location-specific—as long as we have pen or laptop, we can write anywhere. Brisbane artists traditionally flee head to Melbourne to pursue their arts practice, something I both understand and am attempting to resist. Would Brisbane’s creative industries be pumping in the same way that Melbourne’s are if those artists stayed here? Or is the climate too tropical and Melbourne’s inclement, introversion-inspiring weather the necessary ingredient for groundbreaking creative work? 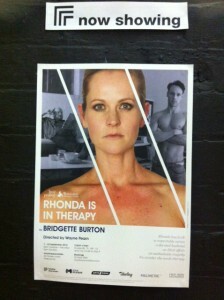 If you’re in Melbourne or plan on heading to Melbourne in the next few weeks, I’d highly recommend Rhonda is in Therapy (and not just because my sister’s in it). I’m still mulling over the play’s themes and nuances specifically and the rich arts culture in Melbourne more generally. Budget or no budget, writing, playwriting, and all the arts practices in between, what do we need to do in Queensland to achieve the same? Spring has sprung and if your spring-cleaning has uncovered your unpublished manuscript, or the warmer weather is simply stirring up your creative side, it’s a great time to get working on your writing. But what to do with your work once it’s written? There’s plenty of opportunities out there at the moment for aspiring writers, whether it’s making contacts and meeting fellow-minded writers at literary festivals, or going straight for the prize and entering a competition. I’ve rounded up a few interesting possibilities for the budding writers amongst you. If short and sweet – but very high-profile – is your thing, the Age short story competition is now accepting entries. Entry is free, and comes with a cash prize to boot: first prize wins $1000; 2nd prize, $800; 3rd prize, $500. Winning stories will be published in Life & Style and at theage.com.au. Entries must be under 3000 words and should not have been previously published. Have an idea but not the completed story? You have a few weeks to get it written – the competition closes on September 28th and winners will be announced in December. Fancy writing something a little more quirky and criminal? One of the more interesting competitions open at the moment is Australia’s Security Nightmares, a national security short story competition organised by Australian Security Research Centre (ASRC). The ASRC competition also aims to raise community awareness of national security challenges and the first prize winner will be taking home $1,000 for their trouble. New and unpublished writers are encouraged to enter and entries close Sunday 30 September 2012. If you have a full book on your hands and you want to be picked up by Penguin, their Monthly Catch could be your opportunity. For the first week of every month, the General Publishing team at Penguin Australia throw their doors open to unsolicited manuscripts. As many publishers won’t even look at a manuscript that doesn’t have a literary agent singing its praises, Penguin’s monthly open week is one of the few opportunities to get your work to a publisher with a promise that it will not be tossed straight into the recycling. Not sure if any of the above are for you? 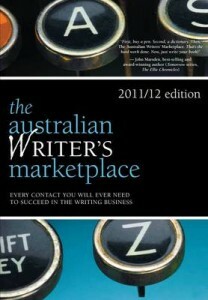 The Australian Writer’s Marketplace prides itself on including every opportunity for aspiring writers and is an indispensable tool if you are looking to get published – although it’s about to undergo a spring-clean itself and we should be seeing the 2013 edition hitting the shelves in the next month or so. So perhaps while you’re waiting for it to sprout up in the shops, you could get started on getting some writing done. For those of you who are not masochists, you may not have heard of NaNoWriMo. It stands for National Novel Writing Month, and happens every November. Participants attempt to write 50,000 words over thirty days and thirty nights in an often vain attempt to make some headway on that novel many of us have stored in our brains and nowhere else. As an editor, I hear about these novels all the time. “Oh, I’ve got a great novel idea.” Many people do. But few people actually have the chops to sit down and write it. Hence NaNoWriMo: an opportunity to get a support network together to help motivate, cajole, plead, coerce and bribe you to write roughly 1700 words per day every day for thirty days. I’ve participated in NaNoWriMo for the past few years and have never finished. That doesn’t mean it wasn’t useful. But I am an epic procrastinator, and NaNoWriMo does not reward procrastination. I can find ways to procrastinate that would blow the minds of lesser procrastinators. One of those ways, especially around NaNoWriMo time, is to investigate software that helps you write. As you can imagine, as someone hooked on gadgets, this always seems to be a worthwhile way of spending time and inevitably ends in seven hours of procuring software and no hours of writing. So to save those of you out there, like me, who like to software procrastinate: here are some software options to help you finish NaNoWriMo. Scrivener was my writing software package of choice for many years, and if you’re on a Mac, is still one of the best choices out there (it’s coming to Windows early next year). It’s an absolutely fantastic program for starting a new writing project, as it keeps everything you might need for writing a novel in one place, from storyboarding and research to a full-screen distraction-free writing mode that keeps you in the zone when you need to be. I discovered Write Or Die last year when I was a week from the end of NaNoWriMo and had written about five thousand words. Unlike Scrivener, Write or Die provides little in the way of procrastination options, but is great for forcing you to write. It is utterly diabolical. Available on the web and as a downloadable desktop program, Write or Die detects when you stop typing and then gives you a little leeway (which is customisable) before the screen starts flashing and then a loud beeping sound reminds you that you shouldn’t be staring at your screen, but typing goddammit! After this warning, the words you have already written will begin to delete, one word at a time, until you start typing again. Scared? You should be. The Pomodoro Technique is less a piece of software than a productivity approach, but there are tons of software options out there to help you Pomodoro. The basic Pomodoro premise is that you set an egg timer for twenty-five minutes and work steadily without looking at any distractions for that amount of time. That’s one pomodoro. After twenty-five minutes you give yourself five minutes to stretch your legs, check your emails and tweet about #pomodoro. Then get back into it. As I said, there are a lot of software options out there, but a good web-based one is Tomatoi.st and one I use for my iPhone (or iPad) is PomodoroPro. So there you have it, all the procrasti-tools you’ll need not to complete NaNoWriMo this year like me. Now, I best get back to the novel. I realise it’s odd that I haven’t blogged about the three sessions at which I saw Bret Easton Ellis at the Byron Bay Writers Festival, especially given that he was one of the primary reasons for me forking out the cash for a ticket and hitting the road. The truth is, I haven’t completely grasped the sessions, much less known what to write. I went down with the very real fear that the writer to whom I’ve long looked up would not meet my pre- or potentially ill-conceived notions. I mean, he’s only human, but in my obsession with his writing genius I may have built Ellis up to writing super hero status. Certainly the media has painted him as the poster child for, well, lots of culture-slamming, disaffected-youth, violence-promoting stuff. But really, who knew what to expect from the writer who’s built his career skewering the west’s and youths’ empty and ultimately doomed fascination with consumerism? The first session was an intimate in-conversation set-up with The Book Show’s Ramona Koval. Now, this isn’t a Koval-bashing blog, but I will say that I’m really not a fan. She’s a woman of a certain age and reading taste (and I’d argue that she’s also been doing the job for too long and is completely over it), and Blind Freddy could have seen that she was going to be a complete interviewing mismatch for Ellis. Just how wrong, though, was pretty shocking to those of us who’d paid good money for this session in addition to our festival tickets. I won’t go into gory details here, but you can podcast or listen to an excerpt of the session on The Book Show. Long story short, Koval opened with a long and literary question and Ellis answered it with the words: ‘Delta Goodrem’. It seems he’d seen a Goodrem music video here and, knowing nothing else of her history, tweeted that she was hot. He didn’t expect the passionate, mixed response he got to that and waxed lyrical about how Australians have a really warped, love-hate (mostly hate) relationship with Goodrem. It wasn’t the answer Koval was after and the interview took a kind of train wreck turn for the worse, with Koval getting all school teacher meets grandmother trying to pull Ellis into line and Ellis allowing himself to be anything but. I came away disliking Koval more than ever before, but also a little less keen on Ellis. Sure, as the author of such titles as American Psycho, he couldn’t have been a completely compliant interviewee—the man’s got an authority-bucking reputation to uphold, after all. But I wanted to like him and I genuinely wanted to hear what he had to say—unfortunately the Delta Goodrem joke was funny in the first instance, but less so as he repeatedly returned to it. What I came to understand as the festival progressed, however, and what a few weeks of musings have helped me cement, is that despite appearing a seasoned (potentially hardened) industry professional, Ellis is a very humble, quite fallible human at heart. Quite incredibly, in spite of 25-odd years in the business, Byron was his first ever writers’ festival appearance. It’s hard enough speaking about your work to a room full of people when you’re starting out, but potentially doubly so when you’ve already made it and are expected to be all over this stuff. Ellis had 25 years’ weight of expectation on his shoulders when he sat in front of a microphone on a stage in packed tents. Everyone expected him to both know what he was doing and to have something intelligent and articulate and incredibly insightful to say about his writing. The issue was that he isn’t that type of writer. He’s a guy who is compelled to write and who can’t explain the—as Koval kept asking him—‘whys’ of his work. He doesn’t—and can’t—analyse it academically, and any attempt to do so makes him uncomfortable. Which is why Koval got him offside and ‘off message’ with her eight-questions-in-one literary-focused questions. But here’s the thing. Ellis did have extraordinarily intelligent and insightful things to say about his work or the industry as a whole—he just needed to be asked straight-up, straightforward, not-too-serious questions. And when he was asked those, he answered with great aplomb and humour. I laughed out loud when he talked of how the media constructed this mythical writing ‘Brat Pack’, as if they all got in a car and travelled together in a group at all times. I laughed even harder when he said that rather than being upset about the fact that American Psycho is sold in shrink wrap in Australia (as his publishers thought he would be), he thinks it’s ‘cute’. It was those candid comments, his laughter in the face of trite cling-wrapped censorship, and his real-life anecdotes about the industry and about what it’s like to be a writer (padding about home alone working and occasionally catching up with friends for beers) that I found the most entertaining and memorable. And that is perhaps what I loved and now love even more about Ellis—he’s a regular guy (which includes being prone to nerves), he’s a real writer, he doesn’t take the industry or himself too seriously, and he has brilliant and witty things to say if we stop trying to put literary, analytical words in his mouth. Upon a second listening of the now-infamous in-conversation session with Koval, I hear all that. And I officially love Ellis, my writing super hero, more than ever before. 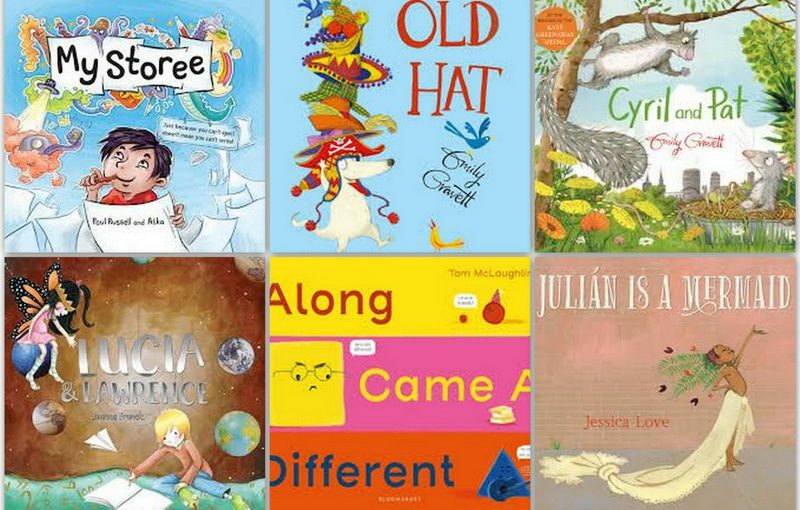 Ginger McFlea Will Not Clean Her Teeth is the book featured in part two of our profile on Australian children’s author, Lee Fox. Although the inspiration for parts of Ginger’s story also came from exposure to water, Lee Fox explains that it was quite a difference experience from what sparked Ten Little Hermit Crabs. I was holidaying in the Northern Territory. While I was writing the first draft for “Teeth”, the rhyming dictionary fell into the crocodile infested river and I had to fish it out with a stick. That’s how choppers became part of the story. You have said that Ginger is your favourite out of all the characters you have created. Can you tell us why? I love the look that Mitch Vane has given her. She is strong willed, smart, funny and creative. I like the way that Ginger is smart enough to realise that by doing the right thing she is not losing anything, that in fact she is gaining something important. Can you tell us about Ginger’s Story? Ginger McFee refuses to look after her teeth. They are awful, smelly and full of cavities. It takes a clever doctor and the Tooth Fairy to turn Ginger’s attitude around. What did you enjoy most about writing Ginger McFlea Will Not Clean Her Teeth? Ginger McFlea is the twin of Jasper McFlea in Jasper McFlea Will Not Eat His Tea. 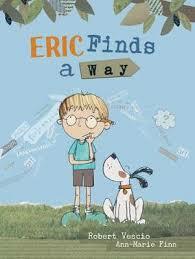 I loved the opportunity to turn Ginger’s character around in this book. 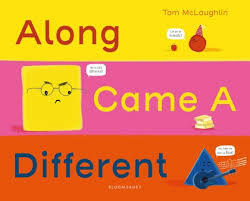 It was fun to show how characters and people have different dimensions, not always good and not always bad. How did you come to create characters like Ginger? I didn’t set out to become a children’s author, but it makes sense to me now that I’ve become one because I adore children and babies. I’m also very in touch with the adolescent who still lives within me. She gets a voice when I’m writing YA fiction. Children aged 3 to 8 will be able to relate to the main character Ginger, who is funny and creative, but likes things her own way. There’s also Ginger’s cute pet turtle, Keith and Dr Felicity Cheek, the funkiest dentist in the universe. 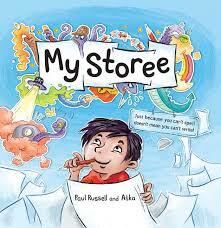 In this book there are plenty of fun rhymes and synonyms for teeth. And Mitch Vanes gorgeous illustrations are so much fun. There are other books written about children and teeth. Is there something about Ginger McFlea Won’t Clean Her Teeth that sets it apart from other books on this topic? How could teachers use this book in a classroom? It’s a great way of getting kids to write about things they don’t like. It can be fun for kids to take that topic and stretch it out of all proportion. Thanks so much for visiting Kids’ Book Capers, Lee and sharing how your write your books. It has been lovely talking with you. My little blog bio proudly proclaims: “Bookish bloggings from the cluttered mind and bookshelf of Melbourne author, George Ivanoff.” I feel the need to explain. I’ve finished the first two books, The White Mountains and The City of Gold and Lead. Just the final book, The Pool of Fire, to go. Oh, and I’ll then read the prequel as well — When the Tripods Came. I’m not a regular reader of this magazine. I got this issue because there’s a full-colour ad for Gamers’ Quest on the back cover. But, so far, I’m really enjoying the mag and even contemplating a subscription. Highly recommended if you’re into science fiction and fantasy, short stories. 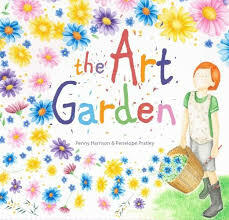 This mag is published by the Australian Children’s Literary Board. Again, I’m not a regular reader. I’ve got this issue because it contains one of my articles. This is one of my regular reads, as I’m a member of the Victorian Writers’ Centre. Okay, that takes care of reading. 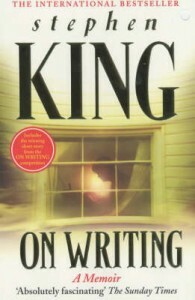 What about writing? Here’s a round up of what I’m currently working on. I’m just finishing up the second book in a series of kids’ reference books about nutrition. This book is about fibre but I’m not allowed to use the word ‘poo’, even though the book is aimed at second grade level. What do I use? Faeces? Digested waste material excreted from the bowels? Number twos? Doo-doo? My mind is spinning with euphemisms. This is a teen novel that I’m working on. At the moment it’s still very much in the planning stages as I scribble ideas, character outlines and scene snippets in my notebook. Whether it is ever completed, and then whether it is ever published, remains to be seen. After all, I have a draw full of unpublished (probably unpublishable) stuff that I feel to urge to add to occasionally. I write occasional book reviews for Australian Speculative Fiction in Focus and MC Reviews. This one if for the latter. It’s overdue. I MUST finish it today. Answers to two sets of interview questions for two different websites about the writing of Gamers’ Quest. One day I’ll write a post about what it’s like promoting a book. And then, of course, there’s this little blog, which I’m planning as a twice-weekly endeavour. So there you have it — a little insight into the workings of my cluttered little mind. But what about all of you out there in the blogosphere? Are you cluttered? Are you uncluttered? Have you ever de-cluttered? Leave a comment and share your experiences. Now, as a final note (and simply because I feel the need to use that word one more time), may I say — embrace your CLUTTER! Tune in next time, when you’ll hear me say: “Enough about me! 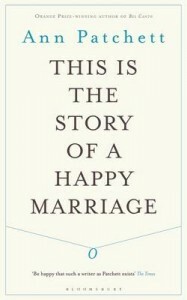 Time to talk about a book!” And that book shall be The Star by Felicity Marshal.